Students seldom get enough experience with measurement for the content to really stick. Especially American students, learning about the metric system. Research says that students’ attention and retention are highest when they are emotionally engaged. 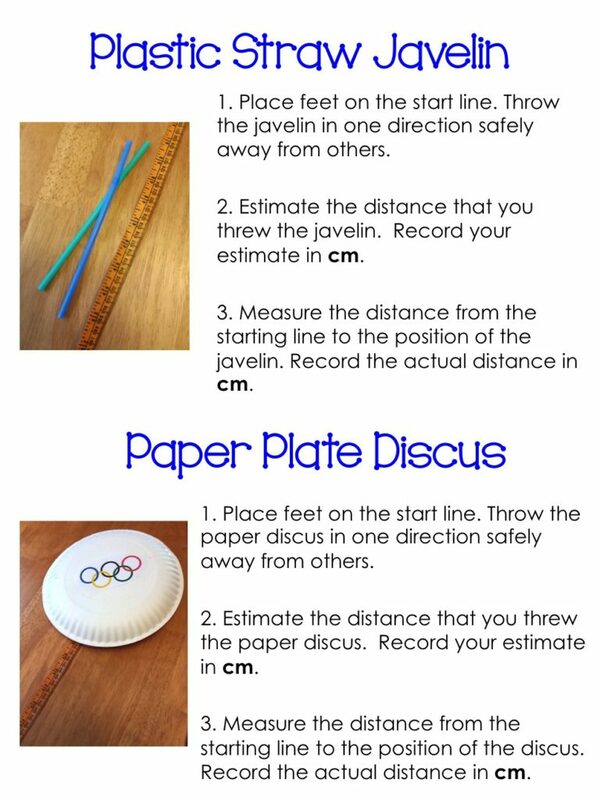 What better way to practice measurement, estimation, and accuracy than with classroom games? 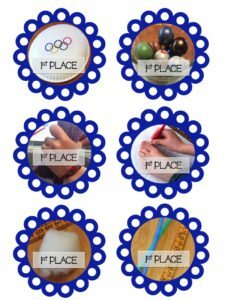 I love using the Metric Olympic Math Games in the classroom because most students are familiar and interested in them. The tasks are easy! The best part about these math activities is that they require physical involvement with absolutely no athletic ability. Your upper elementary and middle school students will soon find out that their mathematical prowess is what wins events! 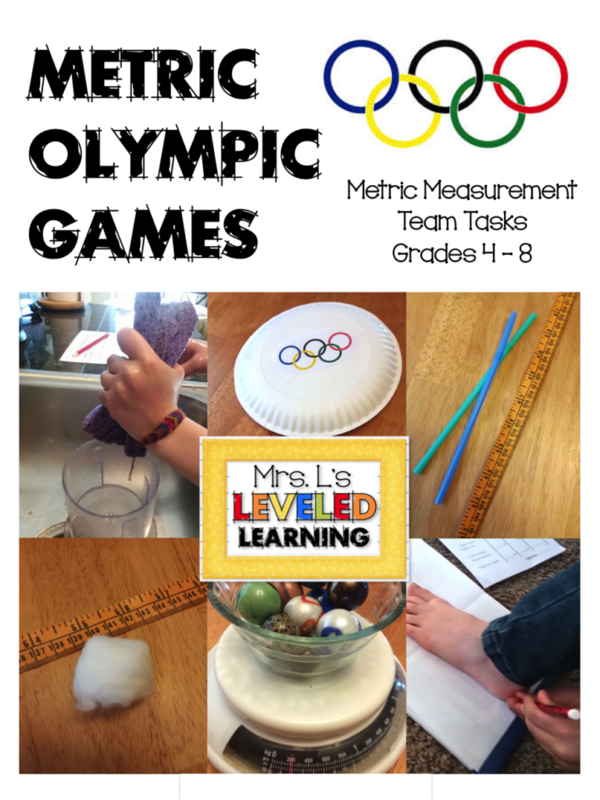 What’s involved in Metric Olympic Math Games? Students are coached through 6 measurement tasks including length, mass, and volume in metric units. For each Metric Olympic Math event they must record an estimate, an actual measurement, and the difference between the two. Each student receives a recording form for completing their calculations. When all 6 events are complete, the students record their total score for the “difference” between their estimates and actual measurements. The winner of each event is the student who estimated most accurately. Announced the winners and present their awards after you have a chance to collect and review the forms. The best way to introduce students to the tasks is with a live demonstration. Model how they should perform each task. Explicitly describe the procedure for recording estimates and measurements so they are fair. 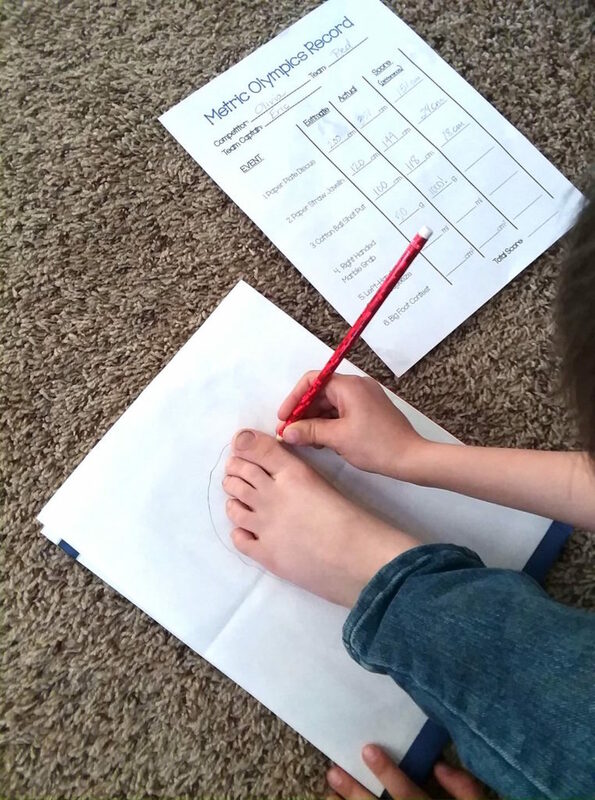 Take a minute to discuss how students should take turns, measure accurately, and estimate fairly (before they see an actual measurement). Upper elementary students grades 4 and 5; I like to keep it simple by adding the differences as “points.” The winner of each event has the smallest difference. The “total” at the bottom can be used to choose a gold, silver, and bronze winner by finding the student with the smallest total difference. Middle school students grades 6, 7, and 8; I like to challenge them by asking them to find their percentage of error. They would do this by first finding the difference between their measurement and estimate; and then dividing that number by their actual measurement. The winner of each event has the smallest percentage. The “total” at the bottom can be calculated as an average percentage out of 6 total. Choose a gold, silver, and bronze winner by finding the student with the smallest percentage of error. Download this FREE Resource Here and have fun! Thank you for stopping by! 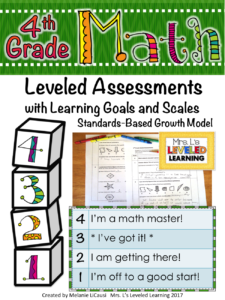 Sign up in the “Follow by Email” side bar link and you will receive more freebies and teaching ideas particular to math and ELA differentiation, and Marzano Scales in the classroom. 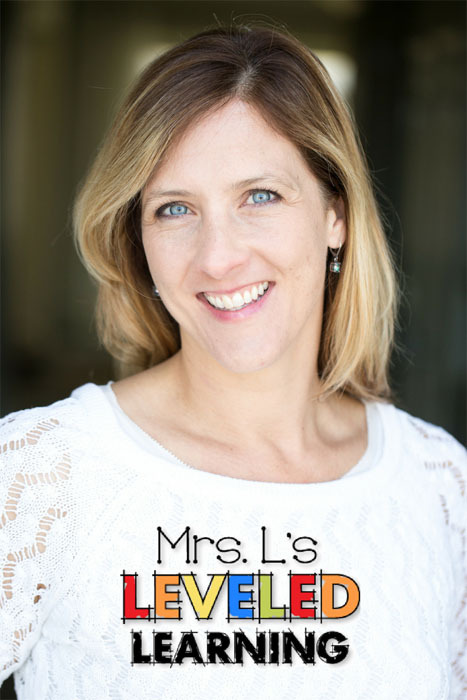 Click on my Teacher Freebies Tab to download sample resources for your classroom.